Burke Heffner will be playing Pocket, a hard-working cowboy from Montana, as simple as they come. Pocket is true to his word, modest, cautious, follows the rules, keeps to himself. When the father he hardly knew dies, Pocket must collect his belongings. Pocket leaves his hometown for the first time in his life, and finds himself lost in the underbelly of the New York City. 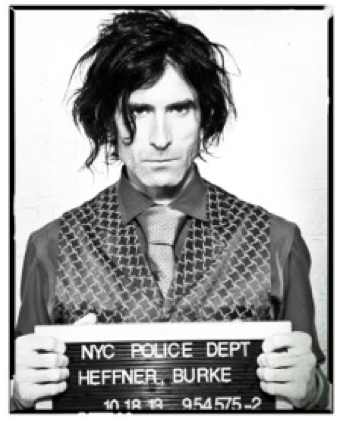 Burke is a Director & a Photographer. Formerly a wild land firefighter from Alaska, Burke Heffner has since settled in New York City with a chihuahua and a burlesque artist. Heffner’s storytelling merges gritty authentic sentiment with striking cinematic allure. Distinct style and uncompromising visual command have made him an award winning auteur. His directorial debut won Best Feature at the NYIFF. His second feature, Revolver, begins production this summer. He is a great friend, lover and dog owner.